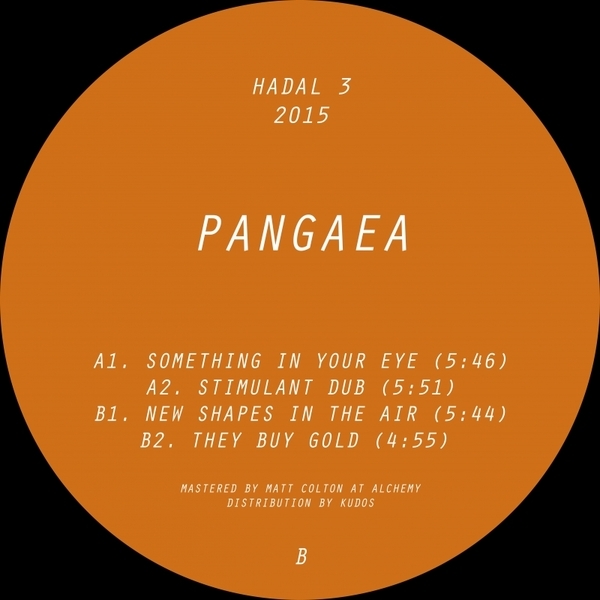 Hessle Audio's Pangaea grapples with gritty UK techno/bass mutations in his 3rd, self-released number for Hadal. 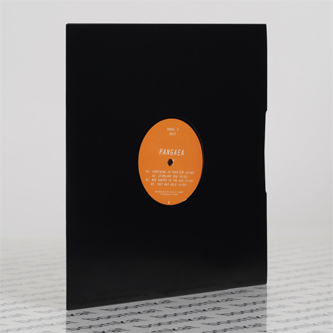 Raking over and reigniting an embarrassment of UK rave riches, he cuts out four tracks ranging from the early Autechreian inflections of 'Something In Your Eye' to the roguish roil of ragga chat and halfstep techno rolige in 'Stimulant Dub', before the rusty bassline house shank of 'New Shapes In The Air' bowls out on the B-side next to a Norman Nodge-like shake-down entitled 'They Buy Gold'. Super solid set for the DJs and dancers.